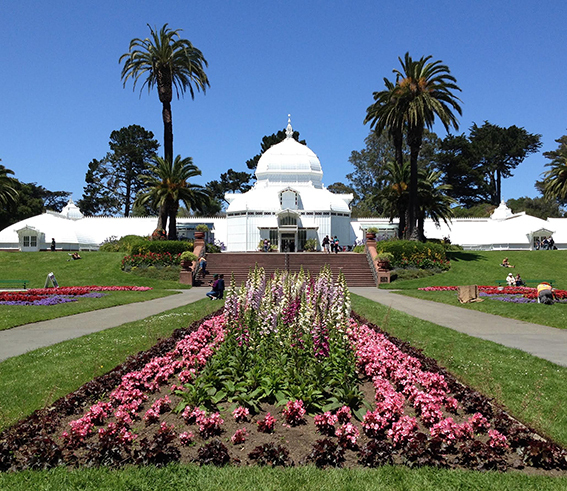 This one-hour special Group experience includes access to the historic Conservatory of Flowers and a roaming Conservatory Docent. Enjoy an introduction on the Palm Terrace where the Docent will offer a brief history and transport visitors to the Victorian era when the Conservatory first opened and an overview of the Conservatory galleries and special exhibitions. After, the group will be escorted into the Conservatory to leisurely enjoy the galleries and exhibitions at their own pace. In the steamy, lush jungles of the Conservatory of Flowers, a light rain falls on the canopy of majestic palms. An enormous kapok tree lies on the forest floor while brightly colored orchids and falling water cascade around it. Coffee berries, cacao pods, and tropical fruits hang heavily from branches, and the sweet fragrance of jasmine and Stanhopea orchids mingle in the air. The Conservatory blooms year round. 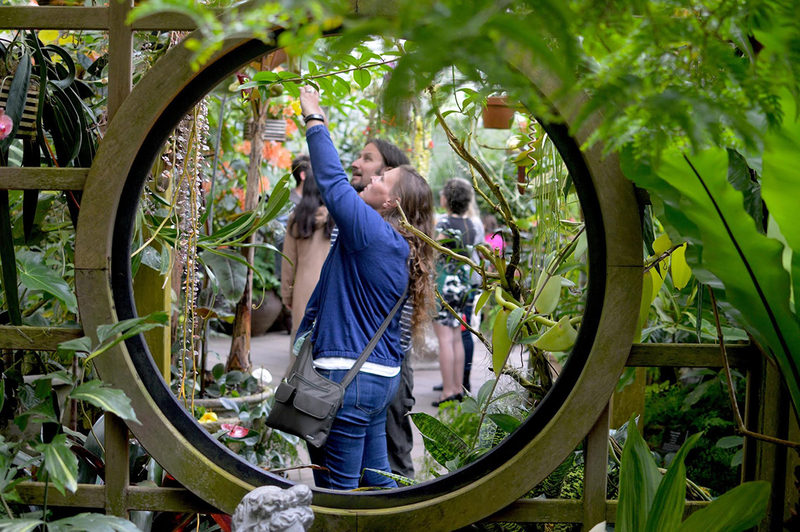 Bring your camera so that you can catch the many orchids and rare blooms throughout the 5 galleries. The streets which surround the Conservatory are John F. Kennedy Drive (south) and Conservatory Drive (north, west and east). Though most parking is free within Golden Gate Park, spaces can be limited and there are time limits, usually 3 to 4 hours.